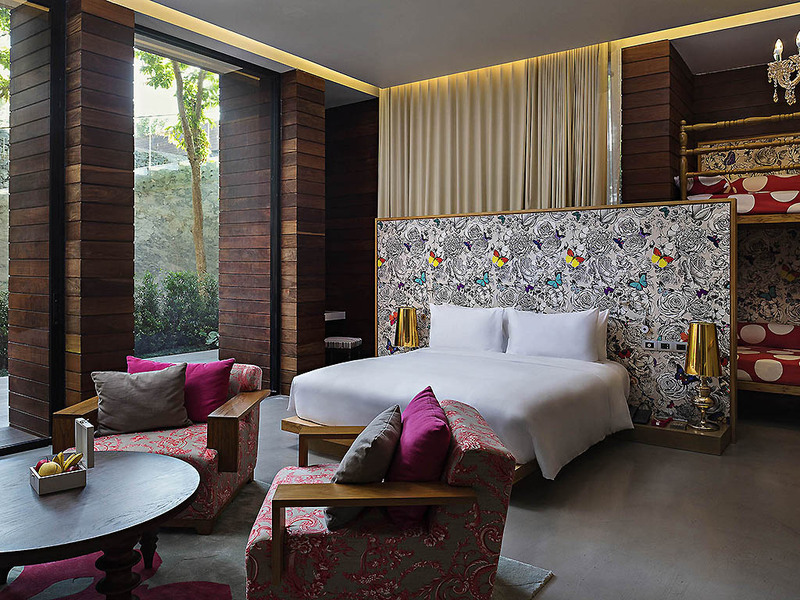 Enter a dreamlike world where nature, design and technology come together to create a luxurious, playful retreat. 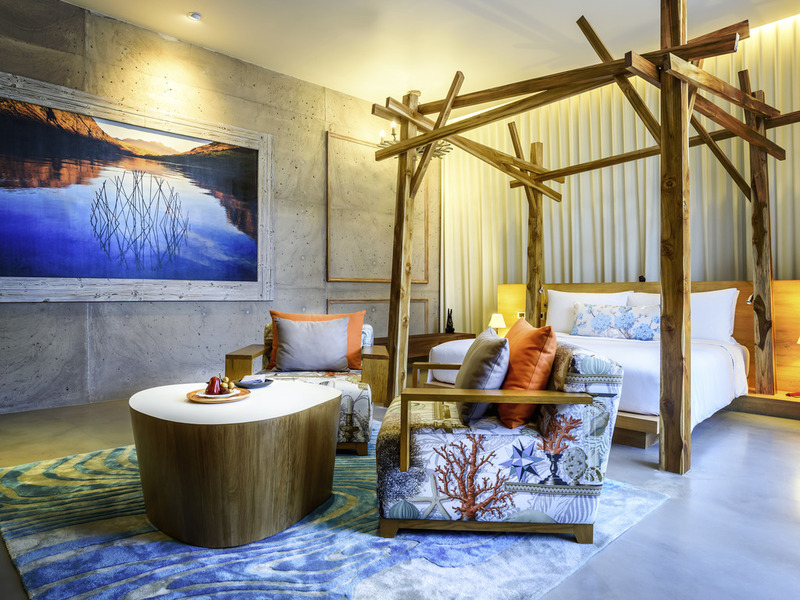 Photography comes to life on the walls of the rooms, playful sculptures salute guests at every turn and art exhibitions beckon from the Galerie. The striking geometric structure of the hotel is a work of art unto itself - the cover to a storybook that has many secrets to reveal. The perfect setting for an Imaginative Escape. A place that dreams are made of. Expect surprises around every corner of the resort. Charming animal statues greet guests on arrival while elephants, hippos and crocodiles cool off in the reflecting pond. These delightful touches of whimsy are the brainchild of Donatien Carratier. Renowned fashion guru Polpat Asavaprapha adds another dimension to your journey. His playful attention to detail runs through the property, from the emblem to the staff uniforms. Join us on an Imaginative Escape!.. Discover a unique morning with Sofitel Sunrise program. Reset your compass with a yoga session by the beach before heading out to explore the local morning buzz of the nearby fishing villages. Accompanied by the Resort Guru, ride along a scenic route on your way to the morning market with fresh catches of the day. Savor local dishes and try your luck on getting discounted prices on the fish of your choice, or let our ambassador assist you. Return to the resort with your catch and let our culinary designer create a tailored dish just for you. 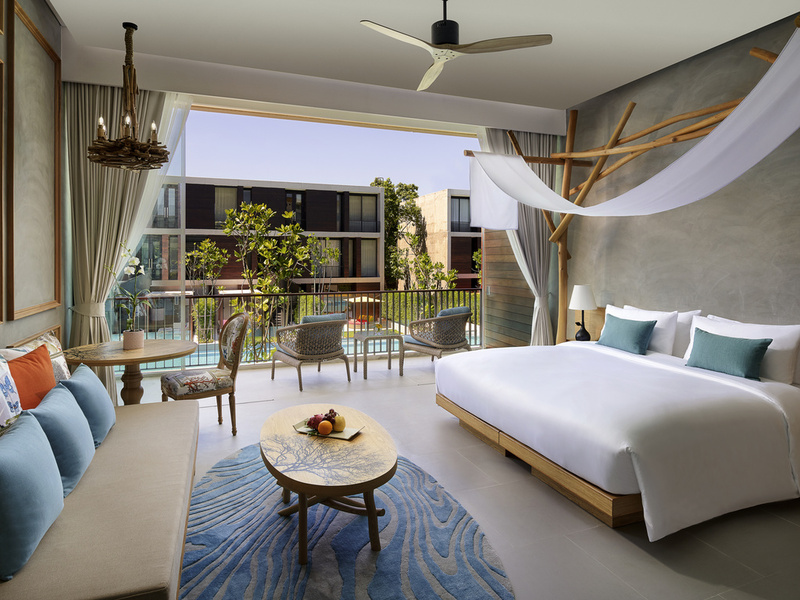 SO/ Sofitel Hua Hin is located directly on Cha Am beach on the north-west coast of the Gulf of Thailand. Local attractions include Khao Sam Roi Yod National Park, Phranakhon Khiri historical site, Pala-U waterfall and Hua Hin night market. Located just a 2.5 hour drive from Bangkok, Hua Hin is a vibrant town on the coast of the Gulf of Thailand that offers a wealth of cultural, recreational and natural attractions. 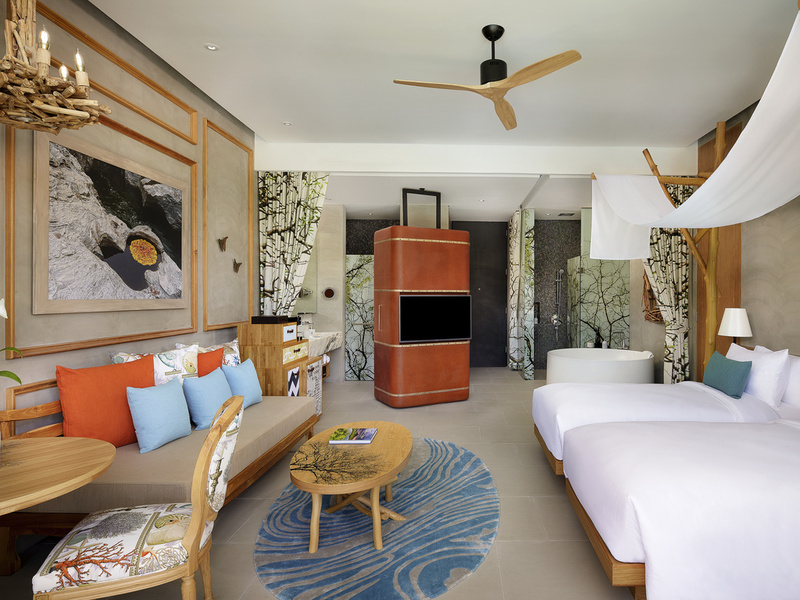 SO Sofitel Hua Hin sits at Cha Am beach with 30 Mins from Hua Hin. 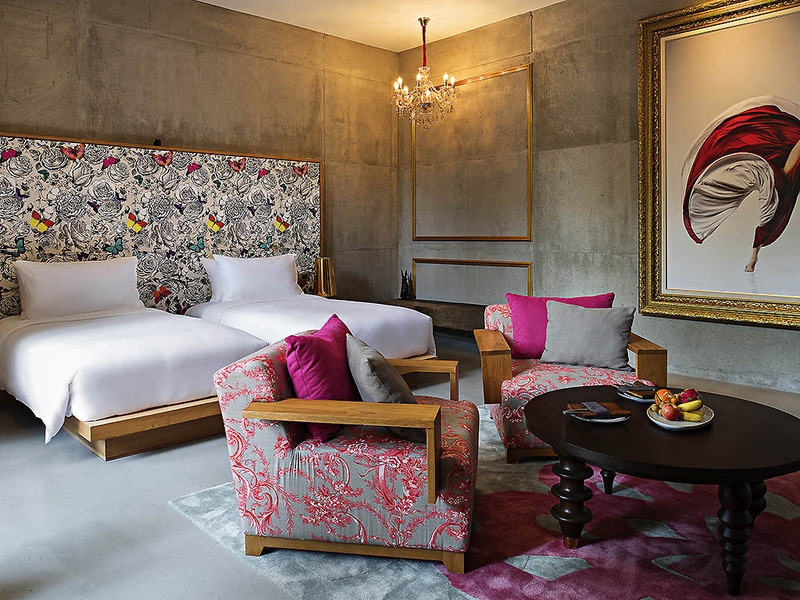 All guestrooms equipped with Dornbracht RainSky rain shower system, marble bathtub, double vanity wash basins, HIS & HER amenities, illy coffee machine, complimentary inroom private bar snacks, with 4 metres high ceiling and private terrace or balcony. 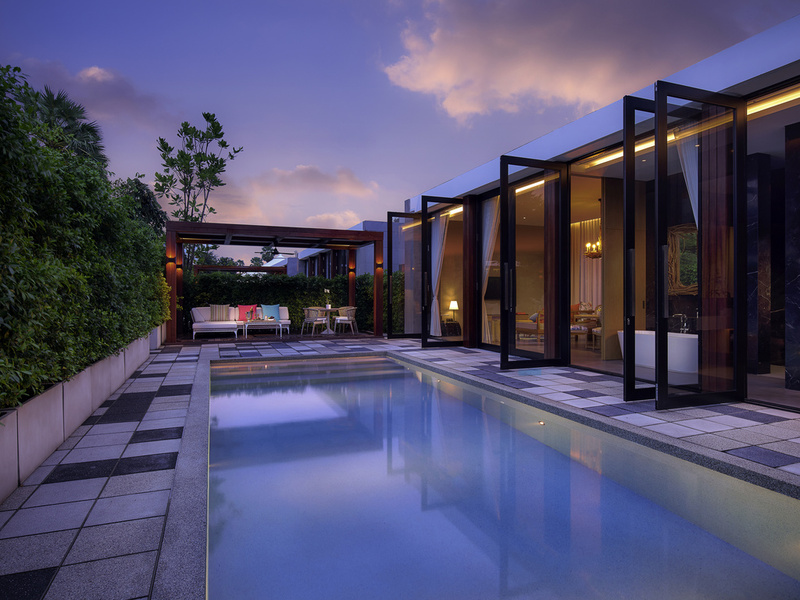 Leisurely float under Thai skies in the blissful intimacy of your own private pool. Gleaming floor-to-ceiling glass doors cast light into every luxuriously decorated corner of living, dining and sleeping space in these vast dreamlike villas. 68 M² / 732 SQFT, On floor 1, Sofitel MyBedTM, Dedicated Kid's house with bunk bed for 2, Rain Shower, Double vanity basins, Complimentary daily Mini-Bar, Illy Coffee, High-Speed Internet access, 1 Extra Bed upon request. 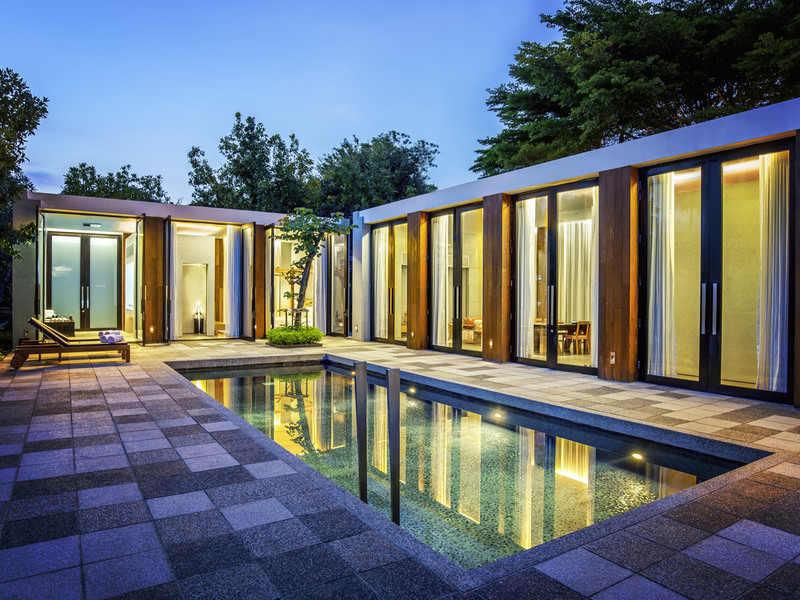 215 M² / 2314 SQFT, Open-space private villa with bedroom, bathroom, living room and 40 M² / 431 SQFT pool, Sofitel MyBedTM, Rain Shower, Double vanity basins, Complimentary daily Mini-Bar, High-Speed Internet access, 1 Extra Bed upon request. 260 M² / 2798 SQFT, Private Pool Villa. Seperate building for master bedroom and second bedroom with living room, Two bathrooms, Sofitel MyBedTM, Rain Shower, Double vanity basins, Complimentary Mini-Bar, Illy Coffee, 1 Extra Bed upon request. From the early hours to late at night, White Oven treats guests to a mouth-watering array of international and Asian cuisine. Succulent seafood and creative snacks can be relished just steps from the ocean at Beach Society, a lively beachfront restaurant. As the sun goes down over the Gulf of Thailand, guests and trendsetting locals head up to the HI-SO rooftop bar to watch the spectacle in style. Magnifique ocean vistas set the scene for chilling, socializing and epicurean delights. For a lazy meal, toes tickling the sand as the ocean laps the shore, or for a happening beach party, toes tapping to the music as the seafood barbecue fills the air with enticing aromas, Beach Society is the place to be on Thailand's Cha Am beach. White Oven serves authentic Thai cuisine with an innovative twist. Only the freshest ingredients from the garden and sea are cooked to perfection by talented chefs on the eponymous white oven. An international breakfast buffet is served every morning. Under the henna-tattooed ceiling of the Lounge or in a comfy sofa on the open air terrace, enjoy zesty light bites and imaginative cocktails. Master mixologists shake and stir the perfect concoction while you enjoy a game of pool or air hockey. Enjoy poolside snacks and drinks at this playful bar under the shade while watching attempts on the Wibit adventure float. Featuring pizza, sandwiches and ice cream creations with a twist. Suitable for children and adults looking to relax and hangout. For corporate retreats that make an impact and galas that leave guests in awe, resort provides superb venues. SO Ballroom is a modern take on the classic convention suite, with towering windows embracing the day, flooding the pillarless hall with light. Equipped with cutting edge AV equipment and smart solutions, the ballroom measures 230 m² for a capacity of up to 150 guests. Everything is on hand for mingling and networking, dancing and dining, and raising a toast to a thoroughly successful event. Next to the ballroom is the Social Room, an elegant setting for more intimate gatherings. Accommodating up to 12 people, with sleek ergonomic seating and high-tech fittings, it is ideal for board meetings, group discussions and brainstorms. 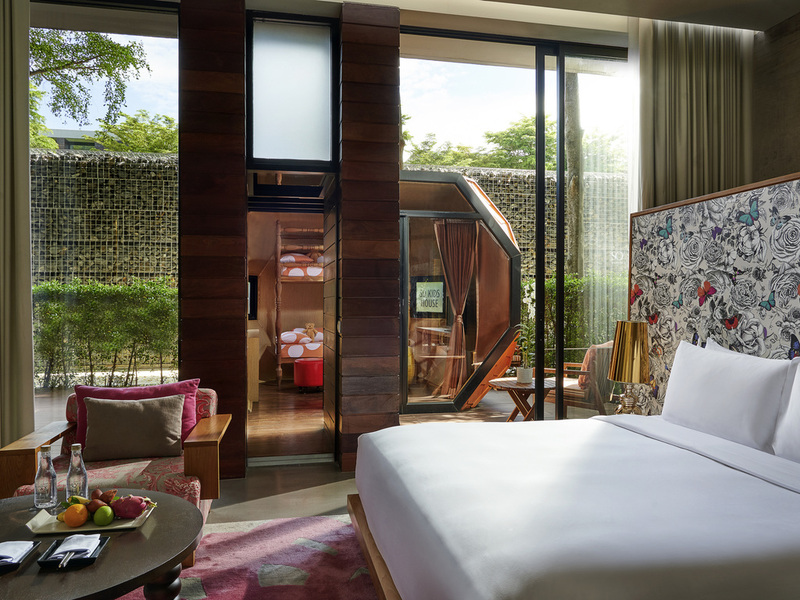 The world outside fades away the moment you set foot inside the secluded SoSPA - a veritable cocoon for relaxing, rejuvenating and revitalizing. Features French skincare products by Phytomer and YTSARA treatments inspired by local tradition. Located right on the beach, the SO Pool was created with fun and families in mind. For a more serene atmosphere, adults can retreat to the Solarium Pool. Services include concierge, dry cleaning, ironing, babysitting, free WiFi and parking and more. Feel the pulse of Cha-Am and Hua Hin with local excursions and activities, from hidden temple caves to bicycle tours. Each activity is tailored to your desire. Let us guide you into the best kept secrets that will leave you in awe. Experience a modern holistic approach to traditional exercise. Open 24 hours a day, the state-of-the-art SoFIT fitness center features next-generation Technogym equipment with smartphone connectivity. So that guests always look and feel their best.